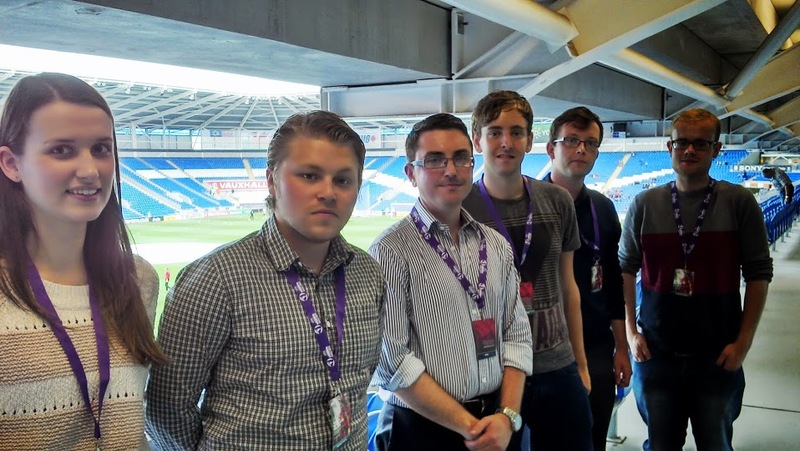 A group of fledgling sports journalists have kicked off their career by attending the international football friendly between Wales and Ireland at Cardiff City Stadium to write match reports. Organised by Bridgend County Borough Council’s Arts and Community Development team in partnership with the FAW, the budding writers probed Football Correspondent for Media Wales, Chris Watham for some tricks of the trade in a Q&A session, before making notes for their reports during the clash between the Celtic counterparts. The workshop formed a new part of the wider Young Critics scheme, which offers expert guidance to young people to explore the role of the arts critic and discover new ways of expressing their views on arts performances in South Wales. Councillor Lyn Morgan, Bridgend County Borough Council’s Cabinet Member for Wellbeing, said: “I think that combining our popular Young Critics scheme with sport is a perfect match. Football is often described as the beautiful game and I’m sure the budding writers will identify the many similarities between sport and the arts.